My Google+ account keeps me up to date with all of the things and people that are important to me and it was there where I first received the sad news that my favourite earth orbiting amateur radio satellite VO-52 had become silent key. I had a look on the AMSAT-UK site to see in more detail what had happened to the long serving satellite. It appears to have been down to a problem with the battery unit as I read that during VO-52's 49,675th orbit, the on-board lithium ion batteries finally gave in and are not likely to be recovered. 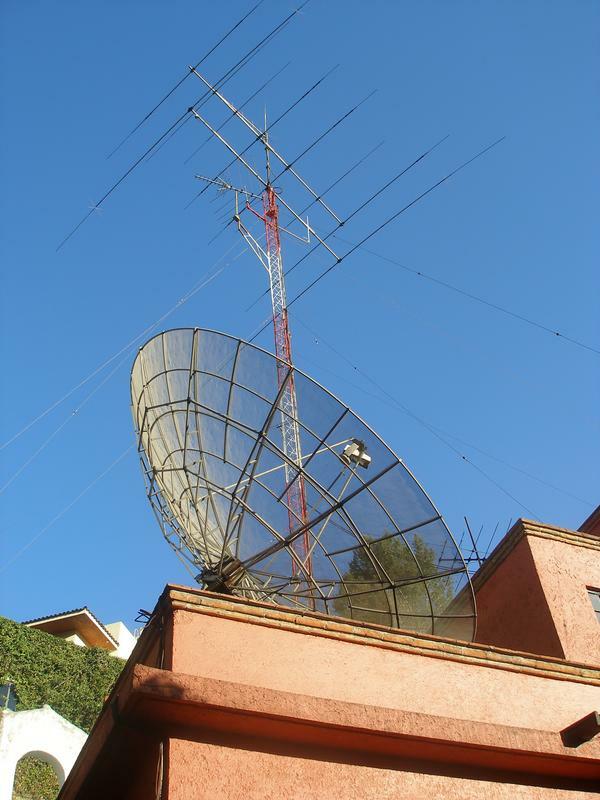 I first got interested in working the VO-52 satellite when I made my first home brew yagi which I called the" broomstick yagi". Since then I have had hours and hours of fun working hundreds of radio amateurs and making antennas whilst trying my best to improve my satellite station. 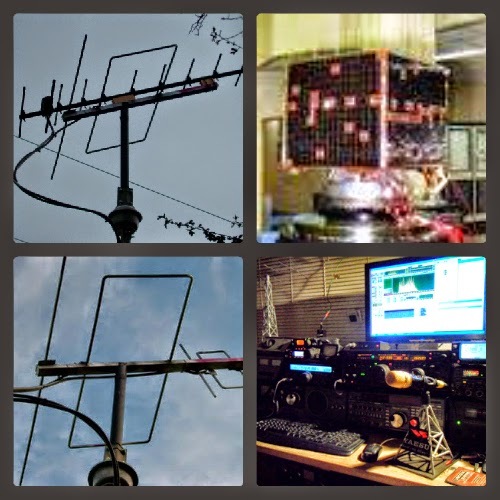 For many years I have caught lots of daily passes from the superb LEO satellite -VO-52 allowing me the opportunities to practice making qso's and perfecting my amateur satellite operating skills and techniques. It was working through VO-52 that first inspired me to modify my IOIo antenna and make it a IO-10 element as seen in the pictures above. I have had some of the best ham radio fun working through this quality bird and will really miss it as well as some of the guys that I worked solely through this satellite. I am glad that I made plenty of videos of VO-52 for anyone wanting a chance to re-live the magic of the legendary VO-52. Just follow the links below. Well I guess that VO-52 will take some beating, lets hope that there will be more like VO-52 for us all to enjoy in the up and coming amateur satellite future. All that is left to say is a big thank you to everyone involved in the VO-52 satellite project. It was a great asset to amateur radio World wide and will be always remembered as the satellite with a solid signal whenever it passed by my horizon. Farewell old buddy, your transponders have served you well! Wide Open on 20m Mobile. Its been a couple of months since I drove to work in the car, I have been enjoying the good WX and making the most of being a motorcyclist riding my suzuki bandit to and from work. However this morning I was feeling a bit tired so taking the car seemed a good idea despite the lovely sunshine. I fired up my FT-857 and was impressed with how well stations were coming in on the 20m band. I heard some big signals coming out of the USA and Europe was also loud. As I dropped down from the moor tops I came across a very strong signal belonging to XE1RK - Rafael from Mexico. I heard Rafael tell another station he was up late and had not felt like sleeping, it was 2.00 am local time in Mexico which was 8.00 am local here in Yorkshire. 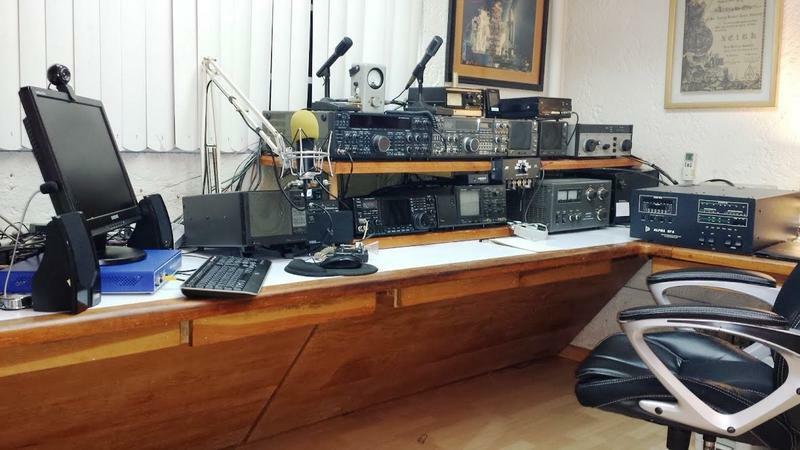 XE1RK - Rafael was working stations from all over the globe as I continued towards my work place which is in Keighley West Yorkshire, I continued to call back to his QRZ call. Just as I hit the main carriageway on my last leg of the journey Rafael heard my mobile call and came straight back to me, my report was an impressive 5/7 into Mexico! XE1RK congratulated me on a superb signal from my mobile as we made the QSO with my FT-857 and Maldol HFC 20 antenna. XE1RK - Rafael had a beautiful 5/9 solid signal and after looking him up I can see why. Here is his shack seen below. XE1RK has some very nice antennas as well.